Being an avid reader of The Motley Fool blog for awhile, whenever I need some inject of investment ideas, I will head to the blog. In fact, the other key reason that I like about their articles is their writing style, which is informal, easy to understand and funny (especially those written by the owner, Mr David Kuo). 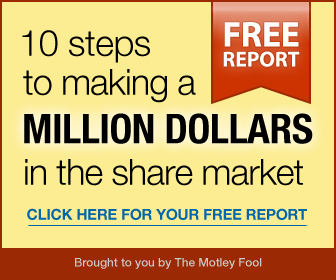 Today, I am going to share one of their killer stock report called 10 Easy Steps To Make A Millions Dollars. I've downloaded and digested it myself, I find that it is a refreshing read. And no, you won't be a millionaire just by downloading and read it, it takes time and ACTION!